Exploring sexuality, gender and race can be a challenge in comedy — especially if you’re being transported through time. 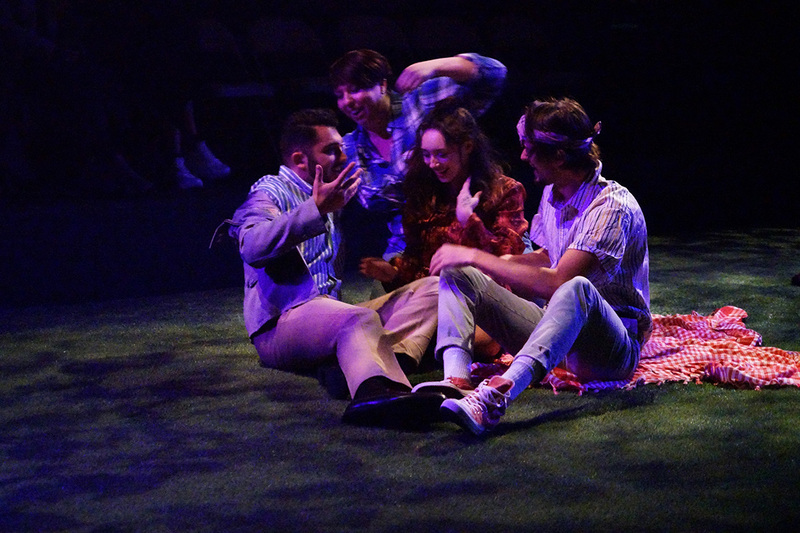 Still, the Academy of Art University’s adaptation of “Cloud 9,” written by playwright Caryl Churchill, manages to shatter social ideologies and systematic stereotypes. 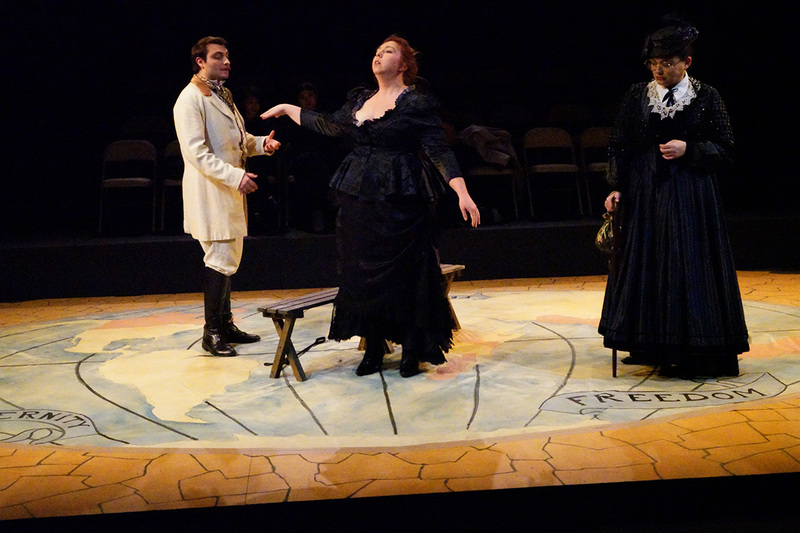 The play casts the actors in one role in one act, and switches them completely in the next, changing not only gender and sexuality but their time-period and location. This all might be mind-boggling, but thanks to the crucial role of costume design, the characters and audience are seamlessly guided through this provocative tale of a singular family. In “Cloud 9,” designers Ge Jia and Huizi Li (M.F.A. 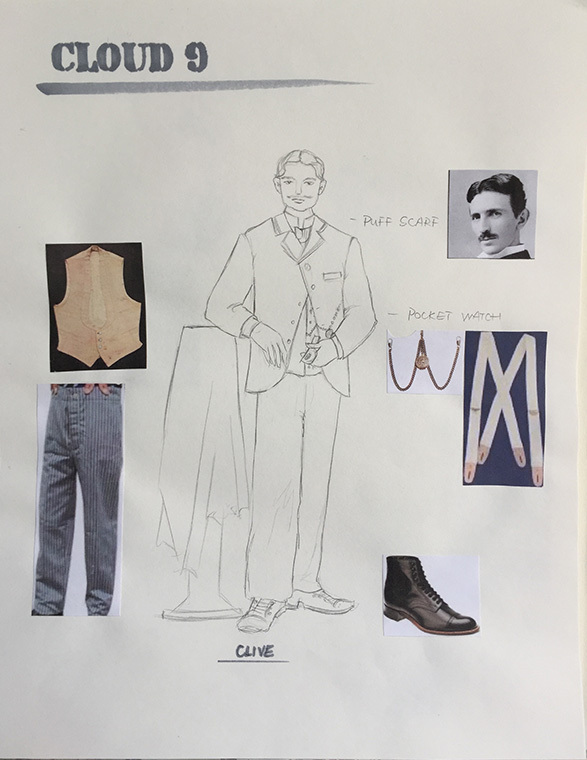 Costume Design), had the task of capturing both British colonial Africa in the Victorian age and London in 1980. Jia took Act 1 and Li, Act 2; both married complicated worlds, creating clear connections — or extreme contrasts — between the characters. Through design, the feeling of each character and the vision of the story had to be translated through every detail. To craft designs for a time- and gender-bending show, the designers had to fully submerge themselves in research and put themselves into the script. Sketch provided by Ge Jia, MFA Costume Design. “First, I began with research about the time period and their clothes—I needed to find some details I wanted to use in my design. Second, drawing the sketches and renderings. Then, I began pulling the costumes from our stock or rented them from costume store (ACT),” explained Jia. While the characters’ journey must be visible to the audience, the challenge of fitting and molding each individual actor is not. To the unsuspecting audience, Act 1’s “Ellen”, played by M.F.A. student Valerie Compton, was in constant transformation into “Ms. Saunders” — both having not only separate personalities but a separate fashion sense. From sewing petticoats onto aprons or changing all buttons into snap-fasteners, each detail was planned to ensure swift transformations between characters. Jennings praised both students, remarking on the complexity of the project. 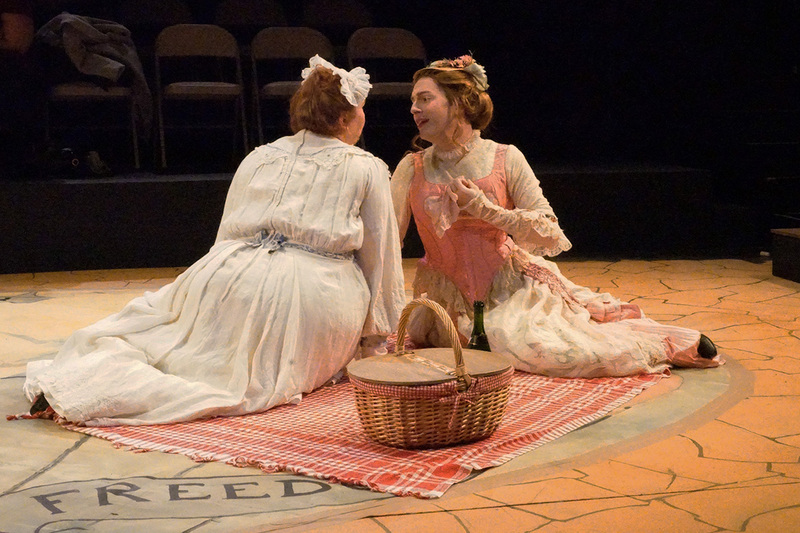 With a play that forces the audience to play along with their imaginations, the costume design was imperative to helping the audience see the bigger picture of dismissing societal roles. 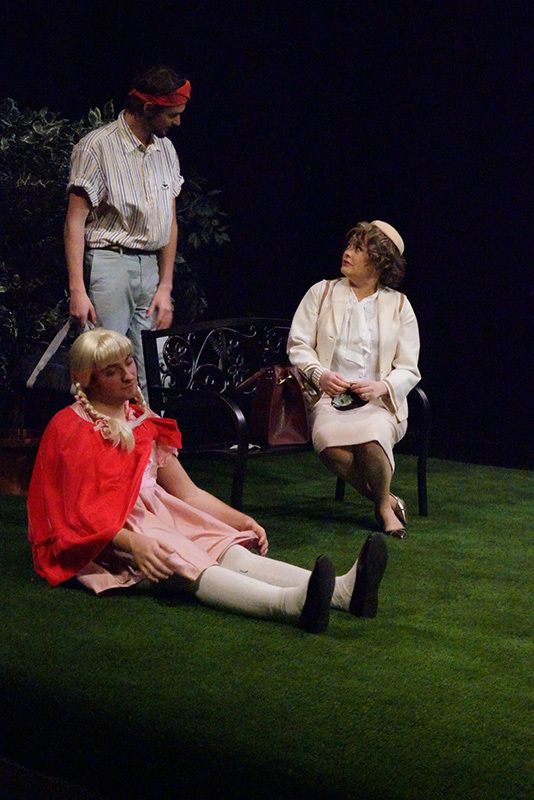 One way this is conveyed is in the flipping of masculinity on its head, having male actors play ultra-feminine characters, fitting them into ruffled skirts and baby-pink doll dresses. For the audience to become immersed in the world of British society separated by 100 years, the costume designers had to adapt and learn from an ever-changing plot.